Caroline Barker - A. J. McGill, Esq., K.C. 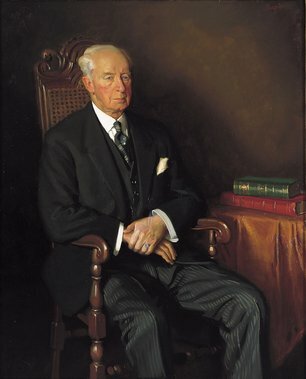 Elsie Elder - Norman Lindsay, Esq. John Barclay Godson - A. H. Yarnold, M.A. John Barclay Godson - H. Woolett, Esq., J.P.
J Noel Kilgour - W. J. Coogan, Esq., O.B.E. Frederick William Leist - Surgeon Lieut. Commander Susman, R.A.N.R. Lola Mason - Clive Raleigh Evatt, Esq., K.C., M.L.A. Max Meldrum - Sir David Rivett, F.R.S. Esther Paterson - Lieut. Commander G. H. Gill, R.A.N.V.R. Clif Peir - Gordon Anderson, Esq. James Quinn - E. M. Pearce, Esq. Stephanie Taylor - Mrs J. Wanderly, B.A. Joseph Wolinski - B. Frampton, Esq. C Dudley Wood - Miss E. M. Christensen, M.A.